Florimond Volckaert was born on 23 February 1898 and died on 17 January 1968. Discussions commenced on the setting up of a benevolent fund in 1949 and the Florimond Volckaert Fund was approved by the General Assembly of Clubs during the Congress held in Mallorca, Spain in October 1953. What is the Florimond Volckaert Fund? The fund was set up in 1954, in the name of the acknowledged founder of Skål, to provide assistance to Skålleagues and their immediate families who are in serious need of assistance. If a Skålleague is in need of help, an application should be sent by the President of the Club or the International Councillors to the three Trustees. They will assess the request and quickly come to a decision. Under what circumstances can help be requested? Loss of job and inability to meet financial obligations. Death of a Skålleague whose spouse needs assistance to pay schools fees for their children. Cost of surgical/hospital services which cannot be obtained elsewhere. Equipment for a physically disabled Skålleague so that the quality of life can be improved. Help for members and their immediate families affected by natural disasters. Financial assistance because of reduced income or as a result of prolonged illness. These are just a very few examples of the forms of personal (not business) assistance that the Trustees have approved over the years. Either through your Club President or International Councillor. 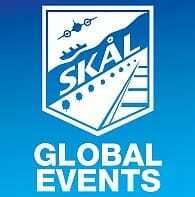 There is an approved Application Form that can be accessed via the Skål website www.skal.org, a copy of which should be sent to the three Trustees. The names and addresses of the current Trustees can be found there as well as in the Skål news. In all the years that I was soliciting donations for the FVF, I never dreamed that I would, one day, be asking for help from it. This is your Fund. Remember, you never know when you might need help from it. Any assistance given is completely confidential. Unless the recipients want to tell anyone about the help they have received, only the recipients, the sponsors and the Trustees will know.